Video marketing is not just important for online marketers, it’s critical to your success! 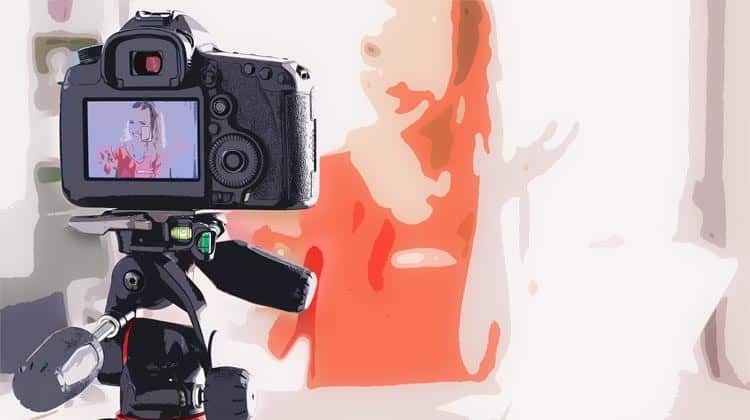 It seems that most business articles these days are always telling you that if you don’t have video content as part of your marketing strategy then you are behind. Let’s be real…they’re not wrong! Getting into video content is a slow process and the best way to approach video content is to consistently test. The trick here is to start small, see what your audiences react to and then give people more of what they want. In this article, we’re going to talk about how to go through this process for your own video content. To help you see how this works, I’ll use Disruptive’s own video content as an example, but the principles we’ll be discussing apply to any business. When you are just starting to make video content it’s not usually a good idea to jump right in and spend $40,000 on equipment. There are cameras alone that cost that much, let alone the sound, lighting, set dressing and post production equipment that you need to complete each video. When you begin creating video content for your own business, start small and keep your costs down. The easiest way to do that is to use stock images and licensed music from an affordable vendor to create what will look like a glorified slideshow. At Disruptive, we call these Dynamic Shorts. When looking for music, I recommend using artlist.io because they only charge $100 for a one year subscription (no, we are not being paid to say this, we just really like their product). Many other places will charge you per song that you download and that adds up quickly depending on how many videos that you produce. When we made our first couple of Dynamic Shorts we completed them in groups of three for A/B testing. Then we tested them with Facebook look alike audiences for about a month so we could determine the videos that performed better than the others. When one was obviously not a winner, we replaced it with a brand new one. Cycling out our video content for testing purposes trained us to make sure that our messaging was down, because every good video ad starts with the script. We tested out various messages for about 3-6 months before we felt comfortable moving on to the next step. The inference with testing our messaging so thoroughly was this: if our audience is responding to our words because of the words alone, then how much more will they respond when we take the exact same message and put higher production quality behind it? After we had made Dynamic Shorts, then we grabbed a local actor and hired a few interns to create the same ads, but with a live action element. Hiring local allowed us to still spend less than $1,000 to make three ads with proven messaging. Was that particular live action video a great execution? No, but it didn’t need to be. We found out that even just jumping from a Dynamic Short to live action video increased the ROI by quite a bit. Read “What Type of Facebook Video Ad Should You Invest In?” to learn more about those specific insights. Hiring a few interns did mean having to buy some minimal equipment, but at this stage, we didn’t need super high quality stuff yet because we were still testing. We continued to A/B test these live action ads and then we’d replace the low performing ones with new ones. After experimenting with a few of these live action videos we tried longer form video content that took more time and planning to actually produce. We tried to go with the angle of teaching people how PPC advertising works and if we were targeting them, then obviously we could do it for them. Again, was this the greatest quality video content in the world? No, and we found out in testing that it didn’t drive almost any conversions. However, our sales team found out that almost every new lead talked about our cookies ad. It had worth because it stuck in people’s minds and it educated them. This gave us our next idea. At Disruptive we have a blog. A very successful blog that has been built up over the years by teaching business owners how to do their online marketing more effectively. Since we knew for a fact that videos performed better than just image ads, we wondered what would happen if we added a video element to the blog. The content and video teams sat down together to strategize what these videos should look like. We decided that they should have 2 purposes: they should act as an ad for the actual blog article itself and it should be easily digestible content that teaches parts of what is in the blog. We found, yet again, that we could keep our costs down by using our own employees as our spokesmen, using a green screen and a teleprompter and filming batches of these blog summary videos all at once. We have filmed up to eight at once and it only took about three hours. When we got these videos out on YouTube we found that they weren’t performing very well at all. However, when we combined them to be the header image on the actual blog article page, they started performing much better. We used the success of the blog itself to boost the success of our natural YouTube views. We also found that these videos might be excellently re-purposed as video ads! Since a lot of our videos were very niche specific, we could use them to get equally specific. One of our earliest videos had an audience retention of 44%. Which means that 44% of people who started the video watched all the way through. Normal ads perform somewhere between 20-35%. You may not have a blog, but chances are that you have some form of already successful piece of content, even if that’s just your business’s web page. Adding video content to anything like that increases your audience’s session time on your site, which gives them more opportunities to buy. Educating them about what you do will only improve the odds that people will convert. After you have gone through these steps of testing, we would highly encourage you to make a relationship with video professionals. Since we are a PPC ad agency, we found that it is a good investment to hire video professionals to give more services to our clients, but that may not be the case for you. Hiring in house will allow you to get your videos for cheaper, but then you will also have to pay taxes, health insurance and justify their jobs by giving them additional responsibilities that they may not be very good at your if they don’t have enough work to do on a daily basis. Hiring an agency will allow you greater access to more qualified professionals to get you quality videos done. Since you’ll hire them on a project by project basis, then you don’t have to feel bad about not contacting them if you don’t want to work with them again. There’s a lot of mobility that comes with agencies. Since hiring a few individuals full time on our video team we’ve been able to produce bigger and better ads like the following that have turned into massive successes! How you approach video content is up to you, but it’s always a good idea to work your way into video content by testing out different approaches over time. Make sure to test your messages with the right audiences and attach your video content to the already successful content that you have. By the way, if you’d like help figuring out how to incorporate video content into your online marketing, let me know here on the comments! How do you approach video content? Do you agree with this approach? Tell me about your experience in the comments! I appreciated what we did here. I enjoyed every little bit some of it. I am always trying to find informative information this way. Thanks for sharing around.